Using the Gemini Multi-Object Spectrograph (GMOS) on Gemini South, a team led by Jay Farihi (University College London) found, for the first time, a dust and debris disk surrounding a binary star with a white dwarf as a substellar companion. To date, almost all of the known planetary systems which include a white dwarf are single stars. Using GMOS spectra Farihi et al. identified critical metal features in the spectrum as well as the higher Balmer lines. From the Gemini data the team estimated a surface temperature of 21,800 Kelvin (about 3.5 times hotter than the Sun) and a mass of ~0.4 solar masses for the white dwarf star and a mass of ~0.063 solar masses for the companion. This post is dedicated to J.T., who just accessed social media. “Contrary to previous ideas about Saturn’s magnetosphere being unlike its terrestrial counterpart, these findings reveal that Saturn at times behaves and interacts with the Sun in much the same way as Earth.” Jamie Jasinski, UCL Space and Climate Physics PhD graduate now based at the University of Michigan, and lead author of the new paper published today in Geophysical Research Letters. Click here for link to paper. Samples of rocks that were laid down under the sea at different times were taken from different locations to piece together the global picture of the oxygen levels of Earth’s oceans and atmosphere. By measuring selenium isotopes in the rocks, the team revealed that it took 100 million years for the amount of oxygen in the atmosphere to climb from less than 1% to over 10% of today’s current level. This was arguably the most significant oxygenation event in Earth history because it ushered in an age of animal life that continues to this day. During the period studied, three big glaciations –the ‘snowball Earth’ Sturtian (~716Ma), and Marinoan (~635Ma) glaciations and the smaller Gaskiers glaciation (~580Ma) – occurred whereby the Earth’s land was covered in ice and most of the oceans were frozen from the poles to the tropics. During these periods, temperatures plummeted and rose again, causing glacial melting and an influx of nutrients into the ocean, which researchers think caused oxygen levels to rise deep in the oceans. 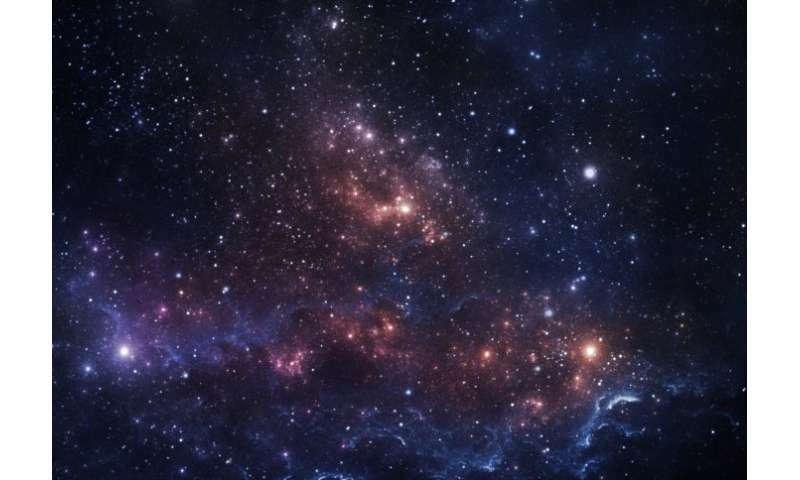 A team of UK scientists and engineers have announced plans for a small satellite, named “Twinkle,” that will give radical new insights into the chemistry, formation and evolution of planets orbiting other stars. The mission, which is being led by University College London (UCL) and Surrey Satellite Technology Ltd. (SSTL), will be launched within four years. An overview of the science case and instrument design will be presented today at an open meeting at the Royal Astronomical Society. When an exoplanet passes in front of the star that it orbits, a tiny amount of starlight is filtered through the molecules and clouds in the planet’s atmosphere. Twinkle will measure this light and pick out the characteristic spectral “fingerprints” that show if gases like water vapor or methane are present on the planet. Tinetti played a key role in the team that pioneered this technique through observations with the Hubble and Spitzer Space Telescopes. Knowledge of the chemical composition of exoplanet atmospheres is essential for understanding whether a planet was born in the orbit in which it is currently observed or whether it has migrated from a different part of its planetary system. The make-up, evolution, chemistry and physical processes driving an exoplanet’s atmosphere are strongly affected by the distance from its parent star. The atmospheres of small, terrestrial type-planets may have evolved quite dramatically from their initial composition. The loss of lighter molecules, impacts with other bodies, such as comets or asteroids, volcanic activity, or even life can significantly alter the composition of primordial atmospheres. Atmospheric composition is therefore a tracer of an exoplanet’s history as well as whether it might be habitable — or even host life. 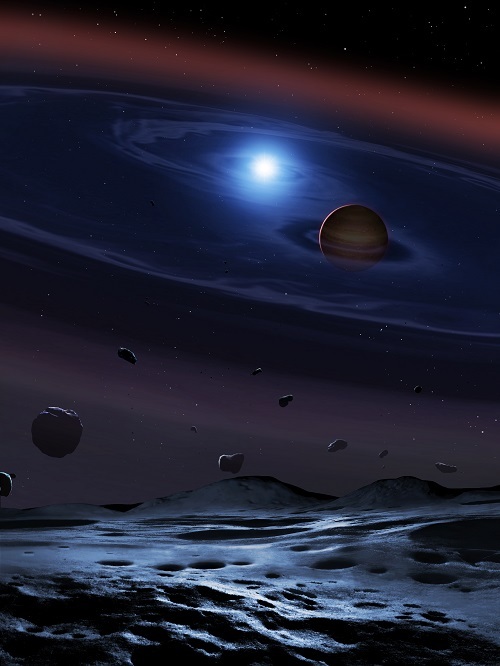 Twinkle will analyze at least 100 exoplanets in the Milky Way. Its infrared spectrograph will enable observations of a wide range of planet types including super-Earths (rocky planets 1-10 times the mass of Earth) and hot Jupiters (gas giants orbiting very close to their suns). Some of the target planets are orbiting stars similar to our Sun and some are orbiting cooler red dwarfs. For the largest planets orbiting bright stars, Twinkle will even be able to produce maps of clouds and temperature. While the construction of Twinkle’s scientific instrument is led by UCL, the spacecraft itself will be built by SSTL, based in Guildford, Surrey. SSTL has innovated the concept of rapid and cost-effective spacecraft development, which has resulted in a significant export market for commercial and government Earth observation missions. “This is an exciting opportunity to adapt the high-performance capacity we have developed at SSTL to deliver ground-breaking science,” said Dr. Susan Jason, lead engineer from SSTL. Twinkle will be launched into a polar low-Earth orbit. The spacecraft will be built to operate for a minimum of three years, with the possibility of an extended lifetime of five years or more. The mission will be funded through a mixture of private and public sources. 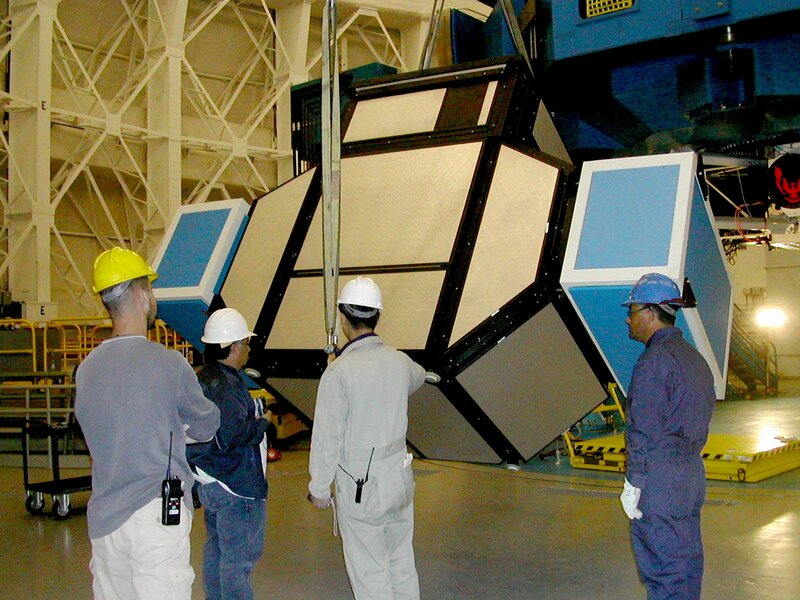 With a total mission cost of around £50 million, including launch, Twinkle is a factor of 10 times cheaper to build and operate than other astrophysical spacecraft developed through international space agency programs. The short development timescale and low budget are made possible through expertise already developed at UK institutions and the use of off-the-shelf components. “The UK has already made an outstanding contribution to exoplanet detection with the WASP survey program. Twinkle is a unique chance for the UK to build on this and take the world lead in understanding exoplanet science, as well as to inspire the next generation of scientists and engineers,” said Prof. Jonathan Tennyson, senior advisor for the Twinkle mission.